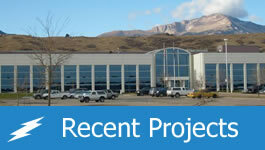 We have completed projects for high profile customers and under the most stringent of conditions, in secure locations. In order to reach the needs of our customers we have developed a safety program that provides a safe working environment for Applied Power Services (APS) personnel. By doing this we have created an environment that promotes awareness of safety on each project site and identifies and mitigates potential hazards. Applied Power Services understands that the well being of our employees, customers, and the public requires an effective, proactive safety program. We also recognize that working safely contributes to the productivity of our labor force and to the quality of our work. Although some of the systems we work on are considered low voltage, the power in these units is tremendous. 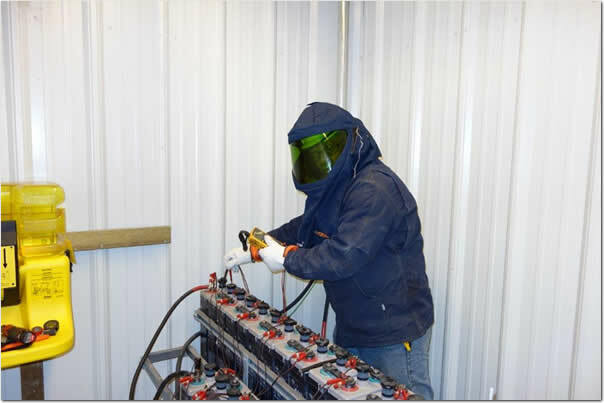 Arc flash in a DC application can create a very serious situation. The most important thing we can do as a company is to return our employees home safely each and every night. That is why prior to each project we perform a site inspection to ensure we have the proper tools and (PPE) Personal Protective Equipment. In addition, many of our employees have gone through first-aid training and are certified in CPR. OSHA recommends Outreach Training Programs as an orientation to occupational safety and health for workers covered by OSHA 29 CFR 1926. These comprehensive safety programs were specifically devised for safety directors, foremen, and field supervisors to provide complete information on OSHA compliance issues. Our Project Manager’s have completed an OSHA-approved 30-Hour Construction Industry Outreach Training Program, and our Field Technician’s have completed the OSHA 10-Hour Construction Outreach Training Program. 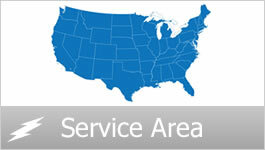 Additionally, our field personnel are certified in an OSHA-approved Radio Frequency (RF) Awareness Safety program. Current regulations imposed by the FCC and OSHA (29 CFR 1910, 1926) are now a requirement for working in telecommunication fields where there is RF exposure. Training includes learning RF regulations and standards, types of radiation and field effect, Maximum Permissible Exposure (MPE) at RF sites, hazard assessment, and lock out/tag out procedures.